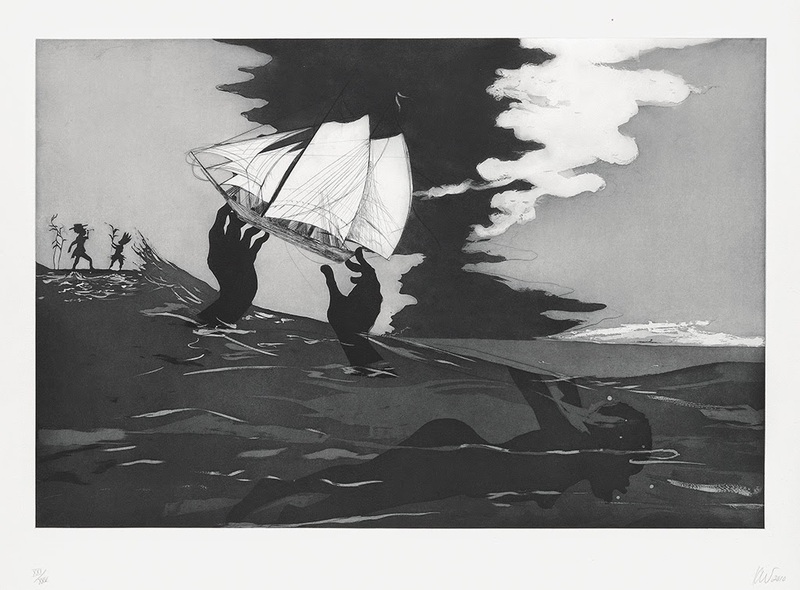 Alaina McEachin of Swann’s African-American Fine Art Department wrote this insightful piece on art-world sensation Kara Walker. Kara Walker is one of the most well-known, respected and controversial artists of her generation. She’s been a star in the art world from very early on in her career, having won a MacArthur Foundation “Genius” grant in 1997, only three years after graduating from art school. Best known for her sleek and highly crafted black paper silhouettes, Walker’s work explores the intersection of race, gender, sexuality, violence and America’s troubled past. Using the Victorian medium of the silhouette, Walker draws the viewer in, only for them to be confronted with horrifying images. Walker’s no world is an excellent example of her printmaking. Walker’s work has left the safety of gallery walls, and moved into the old Domino Sugar Factory in Brooklyn. In a public project commissioned by Creative Time, Walker has transformed the old Domino Factory into a conversation on the history of slavery and its relationship to the sugar industry. 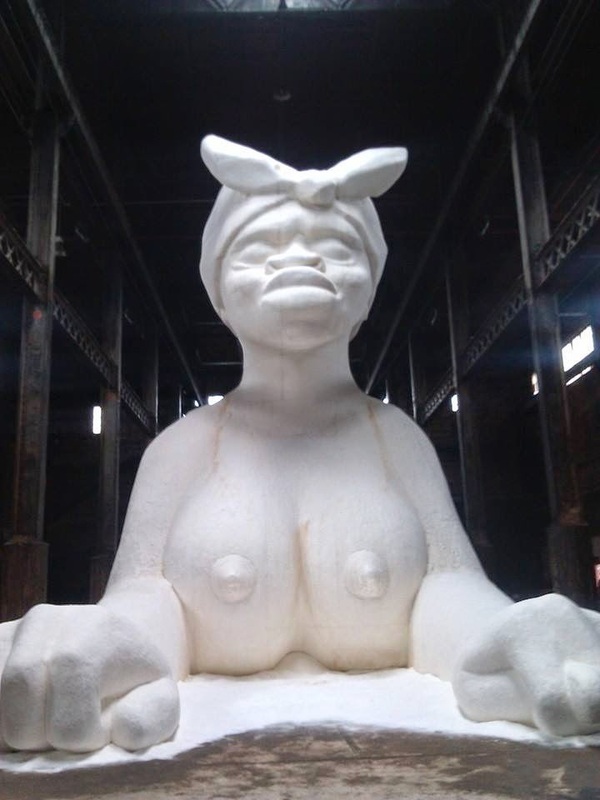 In the installation, entitled “A Subtlety or the Marvelous Sugar Baby an Homage to the unpaid and overworked Artisans who have refined our Sweet tastes from the cane fields to the Kitchens of the New World on the Occasion of the demolition of the Domino Sugar Refining Plant,” the viewer is confronted by a 75-foot sculpture that is a hybrid of a sphinx and a “mammy” covered in 160,000 pounds of sugar. There are also 15 life-size sculptures of young boys made out of molasses colored candy. Being hailed as a must see, and already commanding a 35-minute wait in line to gain entry, we recommend heading over as early as possible to see the installation before it closes on July 6. 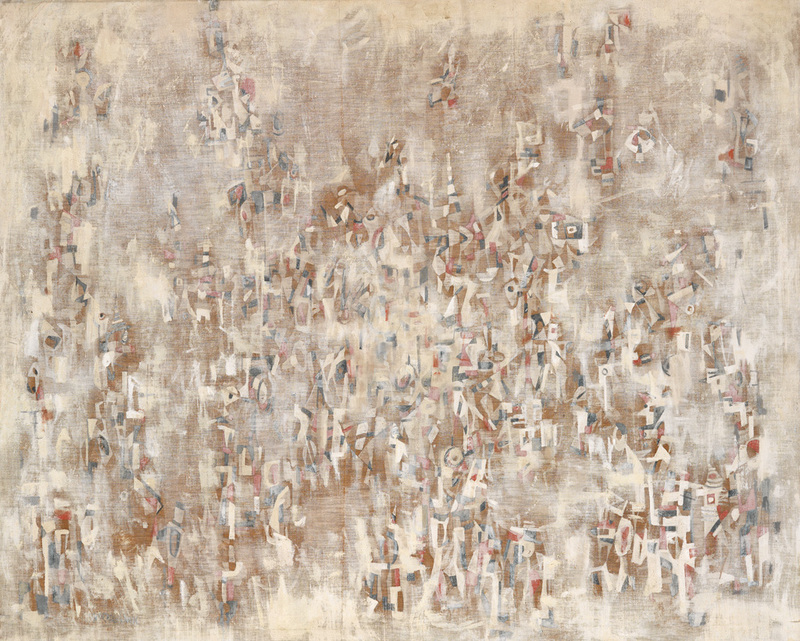 Also on view in June are two works by Walker coming up in our June 10 auction, The Shape of Things to Come: African-American Fine Art. 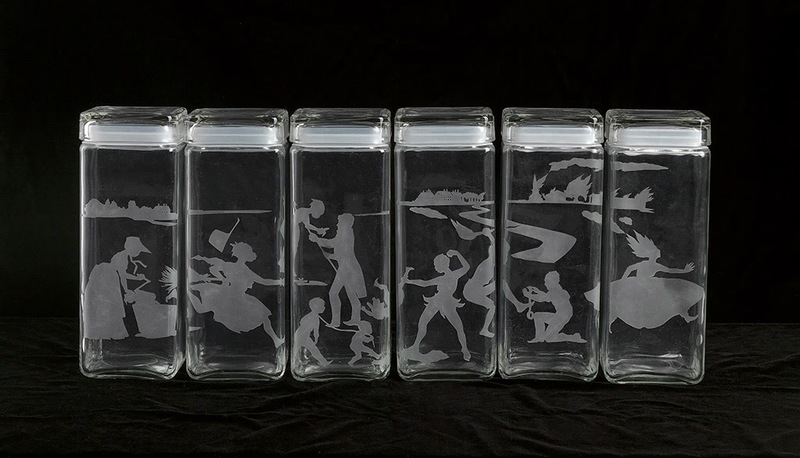 There is a set of glass canisters etched with Walker’s well-known silhouettes, and no world, a fine etching and aquatint from her An Unpeopled Land in Uncharted Waters series. Kara Walker’s long interest in editions has allowed original art by this important artist to remain obtainable.